On a day that should have been just like any other, 16 year-old Hazel Smith wakes up naked, disoriented, and bleeding on an unfamiliar kitchen floor… So begins a jolting series of bizarre events that lead Hazel to uncover her family’s mystical secret that will change her world forever. The young “familiar” is summoned to a unique camp hidden deep in the forest to harness her newfound ability of shape-shifting into animal form. Camp Chameleon instantly offers welcoming friends, intriguing counselors, and a series of challenging activities that help Hazel to grasp her powerful gift. However, when the camp is suddenly threatened by age-old dark forces, Hazel must embrace her evolving power and finally follow in her mother’s legendary footsteps. With over 30 references to food, this book certainly made me hungry whenever I picked it up to read. 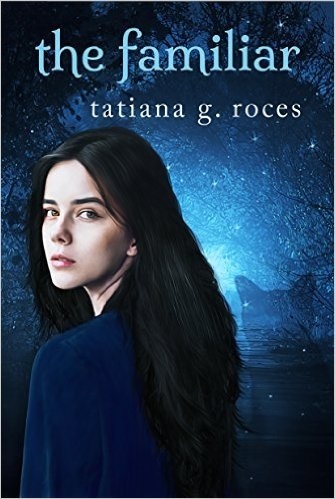 The book follows the story of 16-year old Hazel as she discovers she is a shape-shifter and the daughter of a powerful witch. When she revealed her powers to her mom she was shipped off to a training camp for “familiars,” as shapeshifters are called in this world. At the camp she went through a series of interesting challenges. To be frank I was reluctant to review this book, which sounded like it was written for the middle grade market. The tone was wholesome with teenage characters who seem born from the wishful thinking of parents for their kids to remain kids forever. The teenagers here were not sexed-up, despite often finding themselves naked with other people (sorry, not going to go into details :P). The magic was cute, with use of elements similar to other fantasies for children and young adults. There were egg-shaped pods that pop up into igloo-like structures for camping, clothing that automatically adjusts to the body when thrown into the air, and simulators that can recreate different environments for a learning shapeshifter. But not being the right market was not why I was reluctant. I know the author. She sent me a copy of her book. I didn’t want to go into accepting review copies and feel beholden to review. What if the book was awful? Thank goodness it was not. It was good enough for me to become invested in the story. Despite a startling beginning which slid sharply into boring, it picked up during training at the camp. I enjoyed the challenges, which allowed the kids to learn about their powers and to explore the camp environments. The strength of this book was in how it made the different animals and mythical creatures the kids can shape into come alive in the pages. But all was not fun and games. Hazel discovered her family had a dark history and that there was an evil killing off magic users and shapeshifters. Book one ended on a cliffhanger. Hazel as the main character was uncomplicated. She’s very caring and not so rebelious, even for situations that I believed called for more attitude. The Choosing was one of those situations, which leads me to the part of the story that I disliked. Magic wielders and familiars were supposed to be partners and yet only the witches and wizards could choose while shapeshifters were put on display. I couldn’t imagine such spirited characters to just submit like that. It should be a mutual choice. Despite this, the storytelling was quite good. For those looking for romance, there is sweet friendship in this book as well as the makings of a love triangle. If you’re an animal lover as well as a Fantasy reader, you should consider adding this book to your reading lists. Storytelling is indeed good. I am looking forward to reading some fantasy romance.